Does the thought of confrontation fill you with dread? 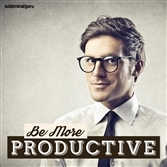 Want a fast and effective way to deal with it, every time? Confrontation can make you feel uneasy. But if you avoid it and try to be nice to people, they might just walk all over you. So rather than standing up to them and being counted, you take the easy way out, making yourself miserable in the process. 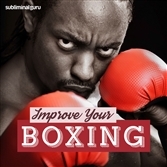 With the Overcome Fear of Confrontation subliminal session, you'll find the courage to manage confrontational situations head-on! 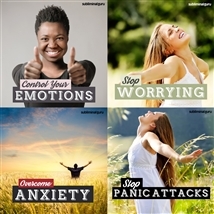 As you listen, thousands of potent positive affirmations will rewire your brain, helping you feel strong and resilient. You'll start to relax and keep your composure, finding ways to calm things down. 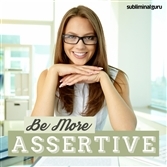 You'll be brave and open, handling yourself with dignity and poise, keeping an objective view that helps to diffuse awkward or explosive situations. 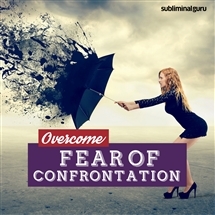 Download the Overcome Fear of Confrontation subliminal audio now to deal sensibly and comfortably with disputes and differences of opinion. I am strong and full of confidence. I cope well in hostile situations. I stay calm and relaxed during any conflict. I deal gracefully with disagreements. I can calm any situation down. I handle myself with dignity and assurance. I am strong willed and resilient. People admire how well I deal with confrontation. I know I can always rely on myself. I handle awkward situations bravely and openly.